To all members of the IDF I send my thanks, my blessings and my prayer that H'Shem will keep you safe and out of harm's way! With much love and respect! כד יברכך יהוה וישמרךYHWH will kneel before you presenting gifts and will guard you with a hedge of protection. In memory of Morris and Ruth Feinberg. Every IDF military base in Israel keeps a Torah scroll, reinforcing the soldiers' fighting spirit, reminding them what they are fighting for. 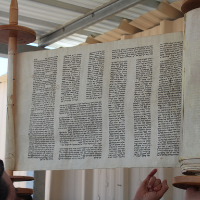 Unfortunately, many Torah scrolls are unsuitable for public use according to Jewish law because of physical conditions including humidity or storage. The Oz V'Hadar Institute is currently embarking on a special campaign to fix more than 200 disqualified Torah scrolls from all over Europe to commemorate fallen IDF soldiers. 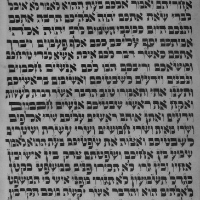 The process of renovating the scrolls carried out by Oz V'Hadar Institute scribes takes between three to six months, and includes thorough examination, meticulous proofreading adding up to hundreds of editing hours, and a computer scan to ensure maximum accuracy. 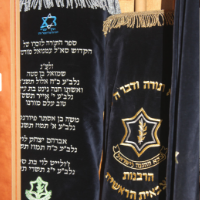 The Torah scrolls will be distributed to IDF bases around the country. 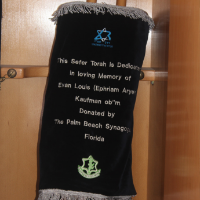 With your contribution, you can also commemorate IDF soldiers while renewing for use old Torah scrolls that were vandalized throughout Europe. Tell your story. Why did you donate to Oz V'hadar?